The look of a shoe coupled with the incredible comfort of a slipper. 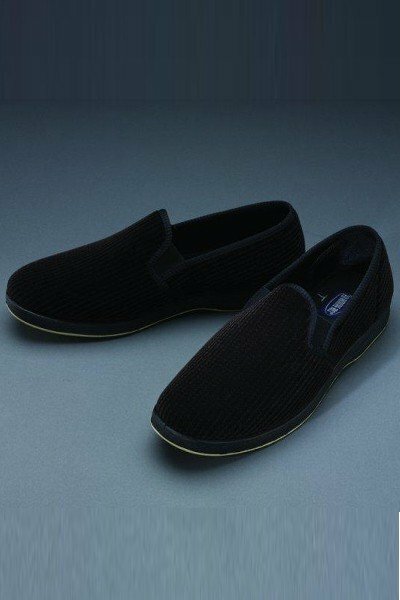 Designed for walking, the cushioned insole allows for maximum comfort and the hard sole may be worn inside or outdoors. Velour upper. Machine washable, rack dry. Wide width. Brown.